One thing my boys love to do in the winter when we can’t get outside is have fun inside! 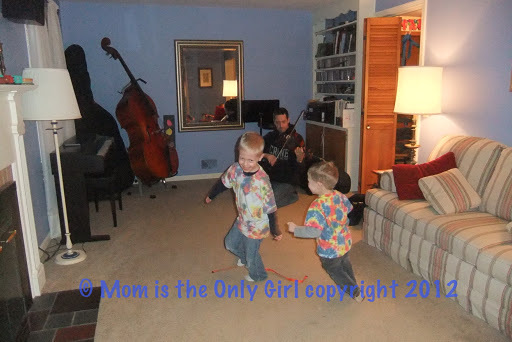 Usually the boys run around “the loop” from the kitchen, through the dining room, into the living room and through the kitchen again, over and over and over again. They also love to dance to “happy fast” music. This day was extra special – Hubby played some familiar “happy fast” music for them on his violin and they danced and danced and danced! Oh they slept well that night! What do you do with your kiddos when you can’t get outside to tire them out? The Strong National Museum of Play currently has a new exhibit and my kids love it! The Wizard of Oz exhibit is great! You’ve got to check it out! The exhibit consists of activities to exercise kiddos’ minds as well as their bodies and there is something for every age group to do. 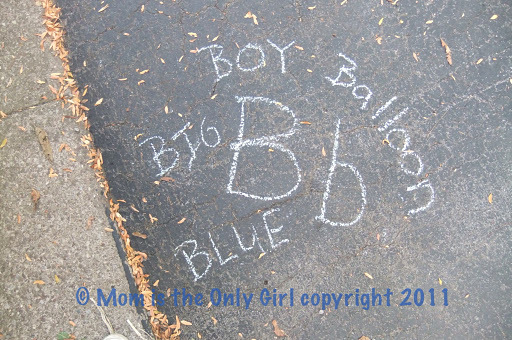 Even the adults will find this one fun…Hubby and I did! The favorites for our family? Cutie Pie enjoyed trying to build Glenda the Good Witch’s crown multiple times in addition to climbing across the spider web at the Wicked Witch’s castle. Sweet Pea spent a long time sorting the farm produce and listening to the noises farm animals make. Hubby and I got a kick out of hearing what we’d sound like with altered voices (think munchkins and the wizard). I heard many parents talking about this exhibit as we walked through the museum, all in a good way. Some past exhibits were a little worn, sparse, some targeted more towards a specific age group. This exhibit, however, has a lot of activities, seems appropriate for crawlers all the way up the age-range. The materials and exhibit pieces themselves were in very good condition, and the room was very inviting. If you’ve seen The Wizard of Oz you’re going to really like this exhibit. Even if you haven’t seen the movie, you’ll have a good time! In fact, my kiddos asked to see the movie on our way home, right after they asked when we could go back to play in the exhibit again! They are watching it (in installments) but just like when we were kids they probably won’t see the scary flying monkeys until they’re older! Here are some more pictures to help convince you to visit The Strong National Museum of Play’s Wizard of Oz exhibit. And if you don’t live near here, watch for it to visit your nearby children’s museum. It’s a lot of fun! Clockwise from upper left: 1) Sorting produce. 2) Farm animal noises. 3) Tornado. 4) Welcome to Oz. 5) Apple tree faces. 6) Tin Man’s gears. 7) Climbing at the Wicked Witch’s castle. 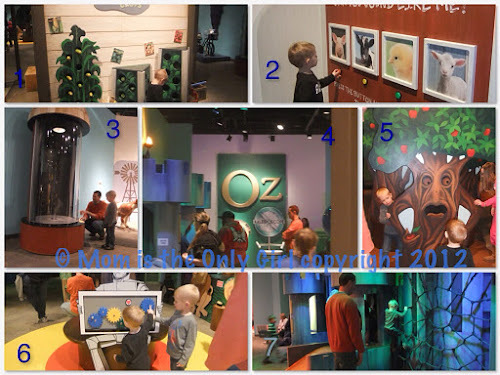 This post has in no way been influenced by The Strong National Museum of Play, Miami Children’s Museum, SPARKS or Warner Brothers Consumer Products. All opinions are solely those of my children, husband and myself. Sweet Pea’s inner scientist came out a while back. While playing with Magneatos, he discovered they can ‘stick’ to things other than themselves! 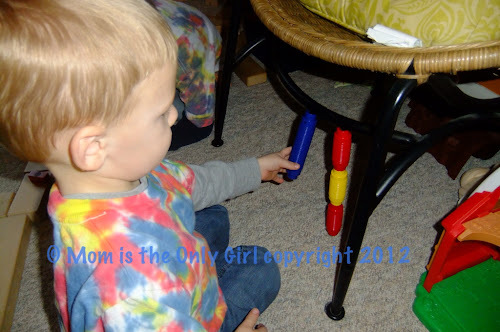 (Magneatos are plastic toys with a magnet encased in each end.) He then proceeded to almost every item in the house to see if a Magneato would stick to it. If this was my 5 year old Cutie Pie we would have hypothesized which items the Magneatos would stick to and then test our theory, but that is for another time with Sweet Pea! Math: I tried to put tape down on the carpet to play hopscotch indoors, but it wasn’t working as Sweet Pea kept pulling it up. A nice day came along and we made a hopscotch grid on the driveway with chalk and practiced counting. Sweet Pea loved this! 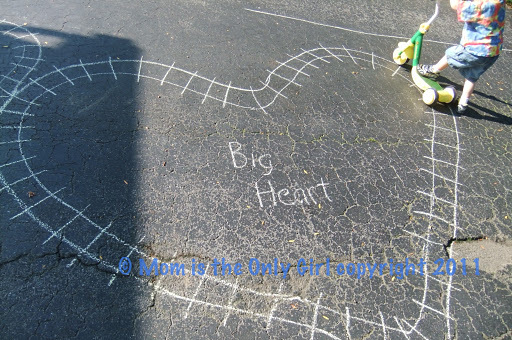 We also drew hearts of different sizes with chalk and talked about big and little. Science: Sweet Pea enjoyed watching ants this week. We also talked about dinosaurs hatching after watching some BBC dinosaur shows. Literacy: We practiced outlining the letter H and Cutie Pie practiced writing it on the chalkboard. We also listed as many words beginning with H that we could, including Hi, Hippo, hypothesis, him, her, hammer, hamster, hen, hot, hut, and we talked about what each word meant. Art: We had fun stamping red hearts of all sizes on our letter Hh printout. 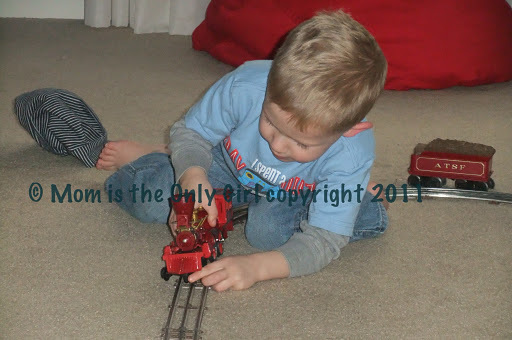 Both boys had fun making the hearts into railroad tracks! Physical: Fine and Gross Motor: The boys’ work bench came back this week and Sweet Pea was more than happy hammering away! If there’s one thing this boy loves it’s to hit things and as long as he’s hitting his bench with his hammer it’s allowed. There was also a lot of running and jumping going on with the fun of the hopscotch grid! The boys decided to make the chalk hearts into railroad tracks and pretended to be trains on the tracks! The simple fun simple objects can be for a 3 year old! Sweet Pea has not been very interested in his letters, learning his letters, coloring his letters, or anything else obviously related to letters. When he and I are alone all he wants to do is play. That is fine, and it’s easy to sneak in learning colors, counting and other things, but not always easy to teach letters if there are no obvious letters to point out! We do, however, still do lots of activities related to the letters we’re learning. This is a long explanation for why I haven’t posted any Mama’s Week in Review lately! Sometimes letter-related things just aren’t in the forefront of my mind. Letter B week! This was a fun week! Sweet Pea still doesn’t want to do much fine motor activity associated with letters, but we had a lot of fun doing things related to the letter B! Wanna bop my balloon, Mommy? We counted balloons. How many total? How many of each color? We counted how many times we dropped or caught the balloons. We counted how many balloons popped on the grass. SP and I made Magic Bubbles using the recipe from Creative Kids at Home. Here’s the recipe we tried. They have more on their site, you’ve got to check it out! We read Little Bunny Foo Foo. We painted with small balloons by pressing them onto paper. This made neat little spots, which Sweet Pea loved! I have been pretty behind in updating Sweet Pea’s letter of the week posts. He hasn’t been easy to figure out as far as what clicks to make him want to learn about his letters. Here is what we did in the fall for letter F, though! Frog. Frown. Family. Friends. Find. Finger. These are just some of the words we talked a lot about for the week of F! I knew Cutie Pie’s pre-K class was talking about Family and Friends each for a week so I wanted to include Sweet Pea in on the fun! 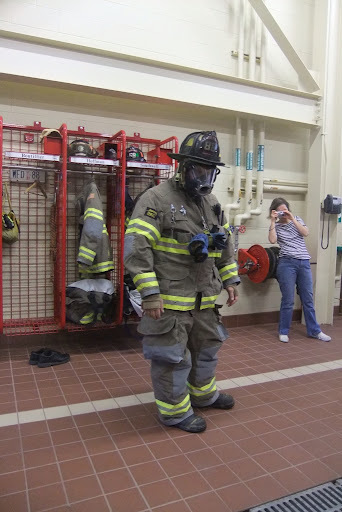 Field Trips– We belong to a local MOMs club that had a tour of the fire station, just in time for our letter F week! 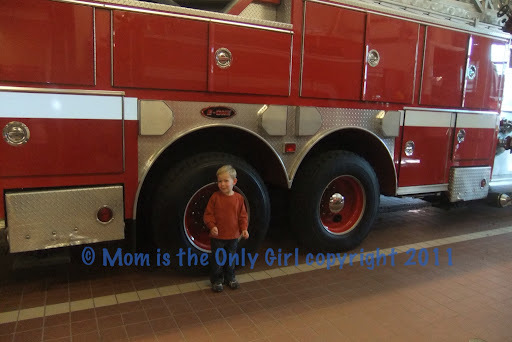 Sweet Pea loved climbing on the firetrucks and checking out how big the tires are, but was a little apprehensive when the fireman put on his fire fighting uniform. I like the way they did it, though, one item at a time starting with street clothes. I want to hang the picture of the fireman in his mask, especially, somewhere my kiddos can see it so they won’t be as scared if they see a fireman come into their room to rescue them. We also went to a park to have some Fun with some Friends! This was a highlight because they were friends we hadn’t been able to play with for a while even though they live very close to us. They are always pretty silly together! 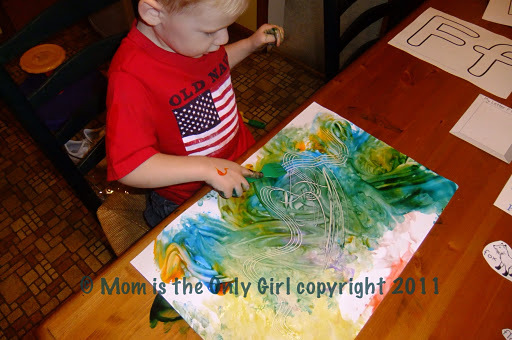 Art/Language – We also did a lot of fingerpainting that week! 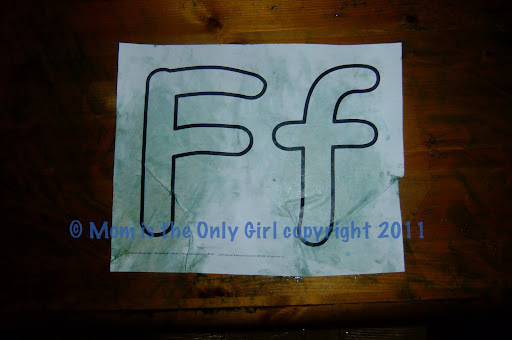 To make it a little more interesting than just fingerpainting over a letter F outline, I put down some painter’s tape in the shape of an F and let Sweet Pea fingerpaint over it. He really liked it and traced the F many times before he finished his masterpiece. He had a lot of fun combining colors while he painted. 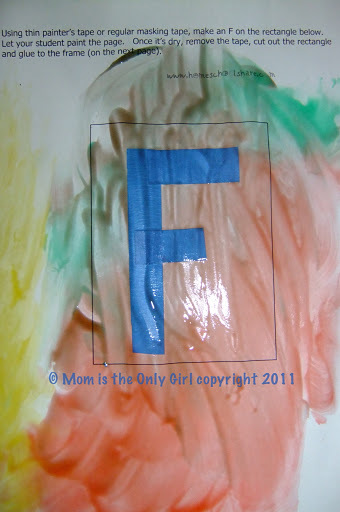 (fine motor, sense of touch, science) When it was dry and I peeled the tape away he said the F was “forgotten”, which I thought was pretty neat that he used a word starting with F and I hadn’t thought of it! I’ve been finding a lot of old posts that never made it out of draft status. Thought this nice sunny, warm weather one would be welcome about now! My friend told me about a new park on the other side of town (in early summer!) If you are in the Rochester, NY area I recommend checking out the Abe Lincoln Park on Empire, near Bay Road in Webster (or is it Penfield?) This park really surprised me. From the road you see the same basic plastic play structures, but when you get out and explore you see two clearly defined playing areas. 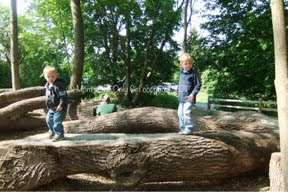 I wish I was able to get more pictures of the plastic play area, because it incorporated some neat ideas, but I was so taken with the natural climbing area, I mostly took pictures of the boys there. I was told there was an old house on the property and I’m told the trees that were felled from taking the home down were secured to the ground to be used as a natural climbing area. You can see the boys love it! Check out their balancing skills! That takes a lot of coordination and concentration! 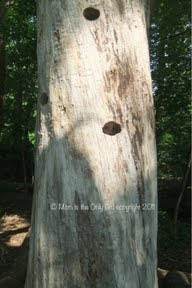 There are a couple of tall tree trunks let standing, but hollowed out with peep holes created in the side and steps carved in as well. These make great forts and hideouts! Cutie Pie loved peeking out to watch us adults talk. I love that there are little hiding spaces built in to the climbing logs! The boys were really having fun! This is definitely a park we will explore again. We didn’t even start to explore the path down to the bay! This is the only picture that came out of the plastic play area. 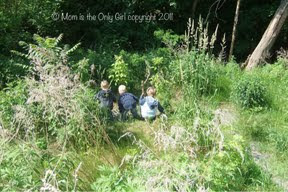 My boys really loved this area, too. One of the structures was shaped to reflect a train, complete with train whistle! Another structure included a twisty slide with big plastic bongo drums underneath it as well as a couple other things you don’t find on many playgrounds. Like I said before, if you live around here you should give this park a try! It is worth a visit! And if you don’t live around here, maybe pass these ideas on to your parks and recreation department! 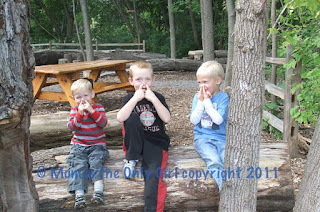 We have been here several times since I drafted this post and each time my boys had a blast. 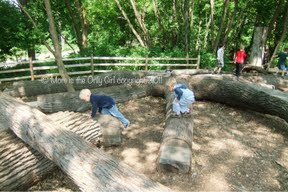 They absolutely love climbing all over the logs, under them, around them…they are so intrigued! Even now, with it being 40 degrees out, they are asking to go back! Cutie Pie has been learning a lot in school and sometimes comes home to teach Sweet Pea in the most creative ways! Cutie Pie is a great teacher! Sweet Pea seems to remember a lot of what Cutie Pie does and says and I’m finding he’s remembering these terms, too! He’s also using them in the right context! 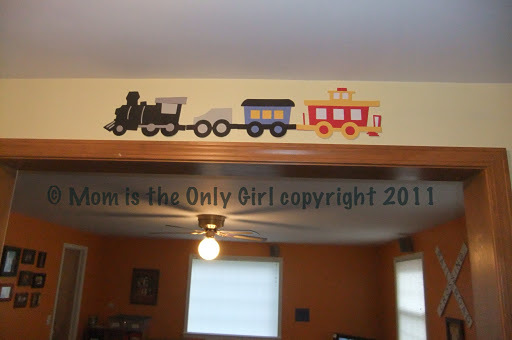 ‘The train is going forward now, Mommy! Now it is going backward!’ Sweet Pea calls out to me as he plays alone with his trains while Cutie Pie is at school…I look in and sure enough! “What are you doing Cutie Pie?” I say as he takes the couch pillows from the rumpus room to the living room, which is hard because they are big and heavy. In return I get a glare, then a cute smile with a twinkle in his eye. Soon Sweet Pea is there to help. I know this isn’t unusual, but the process the boys used, once they had every single pillow and cushion from the rumpus room on the living room floor, was quite interesting. First they tried to stand them up on end, then on another end, but they kept falling down. 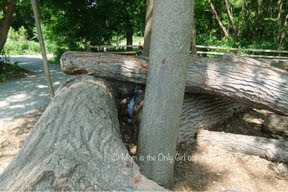 Then they tried leaning one against another, but only two at a time. Everything they tried seemed to fail. I tried hard not to get involved, and after a while they asked me to look at their fort. It consisted of all of the pillows laid out end to end making a path, although to them this was the fort! They took turns laying out blankets over their pillows, being very careful to not step outside of their fort. I was trying so hard to let them complete their project on their own, that whenever I did go near with the camera they stopped what they were doing and got distracted so I decided not to take pictures. It’s amazing what our kids can achieve when they set their minds to it, and when we don’t distract them or cause their outcome to change unintentionally. It’s serving as a reminder ,once again, that it’s sometimes good to pause and wait for the outcome rather than trying to fix what’s wrong! He was white – his lips, his belly, his knees, his feet – I have no idea how much he actually ingested because he had so much smeared all over him, but I knew there was an amount gone. Being the mom I am I called the Dr because the nurse is excellent at the care she gives, even over the phone, but was told to call poison control ‘just for peace of mind’ for me and the nurse. The woman who answered the phone was great. Not that I was in panic or anything, but she was calming, patient and very clear with the questions asked and the answers given. I could have given Sweet Pea a bowl of ice cream to introduce calcium to bind with the floride he ingested or given him milk. Since he had stripped down before enjoying his toothpaste I opted for warm milk, which turned into hot chocolate for all three of us. He seemed just fine, which was such a relief. Too bad he didn’t learn from this experience…he tried it again two days later. Have you ever had to call poison control? Did you have the same experience? Build It is a large box of over-sized building pieces (nuts, bolts, buckets, wheels) that are the perfect size for a 3 year old. Talk about an imaginative construction set – a car, truck, robot, shopping cart, dog! The Starter Set comes with an instruction sheet that shows six different items to build, but I’m sure a little dreaming, coordination and concentration will result in more! The pieces themselves are made from colorful, sturdy plastic and heavy flexible plastic and feel like they will withstand a lot of heavy duty play. Like I said before, they are a great size for a 3 year old, just right for the fingers to grasp, turn and tighten and the resulting playthings are larger than most creations of construction sets! 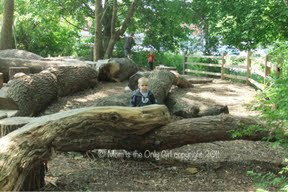 I think that’s what my boys like the most about their resulting playthings – they are big! Cutie Pie made a shopping cart for Sweet Pea out of many of the pieces and the handle is at the perfect height for Sweet Pea to push it! I would highly recommend this product if you are looking for a construction toy for a child in the three to five age range! 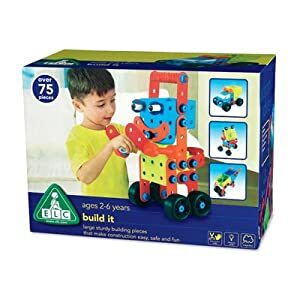 I have not been compensated by ELC in any way to review this product (although I wouldn’t mind if they sent me the Bits ‘n Bobs set to review in the future!) My opinions of this product have not been swayed in any way by anyone other than my children and husband! We didn’t have many balloons at Sweet Pea’s birthday party, but we did have a few. As I was taking them down, Sweet Pea and I came up with fun game to play with them yesterday. I mean, we all tend to do the ‘What color is this balloon?’ or ‘How many…’ but I knew he needed something more! Sweet Pea loves to toss balloons and try to catch them. This is fun, but not really so much fun for Mommy. It turned into me calling out “arm”, “elbow”, “knee” and every other body part and us trying to bounce the balloon with it. Sweet Pea and I got giggling! 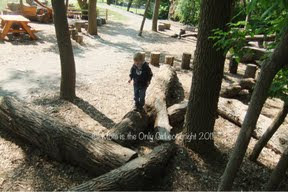 Definitely a toddler/young-preschooler approved activity! Sneaky way to get some learning and gross motor play in there! Check out the black balloons we had for his birthday last year here! Because there were so many of these balloons, we just filled up the floor of the dining room with them and ran through then, tossed them in the air, kicked them around, and generally just had fun in any way we could with them! 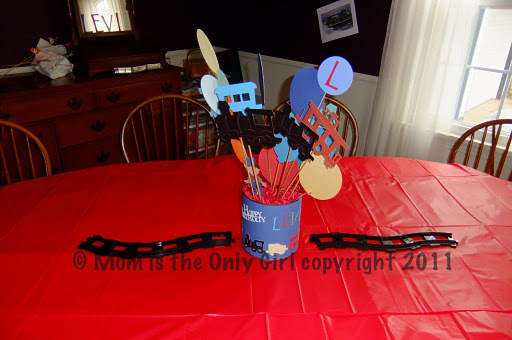 Remember the centerpiece my mom and I made for Levi’s party using Mom’s Cricut? I planned on doing something fun with the pieces when we made them and the boys loved my idea, shadow play, the other night! Have you ever made shadows on the wall with your hand? Our shadow play in this post is very similar. They really liked this type of shadow play, even following my directions and kneeling to make their engines run along the back of the couch without their heads getting in the way. I think next time we pull these out I might try draping a tablecloth between a couple of chairs and taking turns sitting in front of it while the others have their engines between the light source and the cloth! 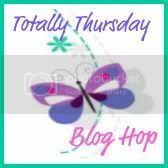 Have you used a scrap booking or stamping tool for fun or learning with your kiddos? I’d love to be inspired! Please share! 3 Year Old Sweet Pea! Sweet Pea turned 3 this weekend! In general, we have family birthday parties, with Aunts, Uncles, cousins, and grandparents. This year was the same. That doesn’t mean we don’t decorate! 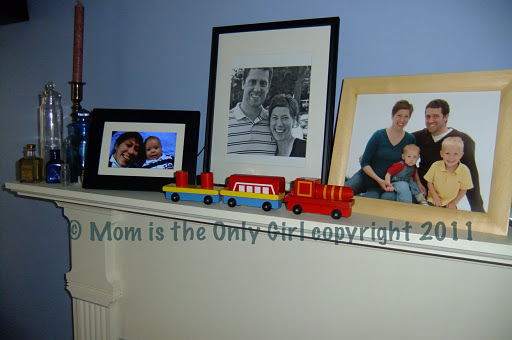 We try to pick a theme that reflects our birthday child’s current interest or strong interest for the past year. 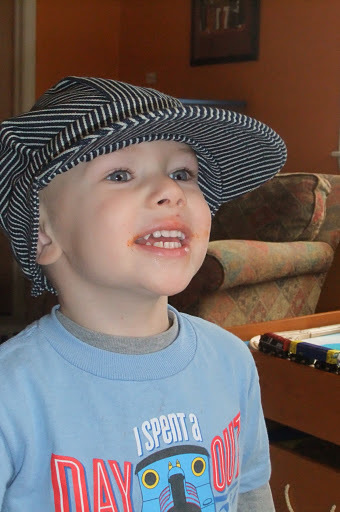 Sweet Pea still loves his trains, so this year it was trains again! It’s a little hard to make a second birthday party with the train theme unique, but instead of going with the steam trains, like last year, we made a diesel train cake and decorated with pictures of all sorts of trains and an assortment of train-related signs (low-quality and from various places on the internet, printed onto paper and taped to the walls). 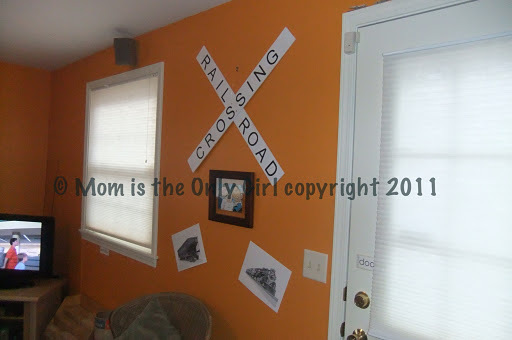 My mom and I made a train-themed centerpiece for the food table, which I think turned out pretty cute! We also set out oodles of toy trains on almost every flat surface in the main three rooms of the party. And of course, train music was playing with announcements such as “Attention passengers, please do not flush the toilet while the train is in the station.” All of this with the promise to Sweet Pea that he would get to play with his Daddy’s trains after the party was done and everyone went home. When it came time to open the gifts Hubby asked if he’d like to open them to which he replied, “No, you open them. I want to play with your trains.” He finally managed to open the gifts, with a prompt thank you to each gift-giver and then, much to Sweet Pea’s delight, the trains came out! Which meant, of course, Cutie Pie got to play with all the new toys because Sweet Pea was too busy to notice! I’ve seen this experiment several places, so I take no responsibility it. We’ve also done this experiment a few times before and each time it gets my boys’ attention. Most recently, I’ve seen this in the book Child’s Play by Leslie Hamilton , listed as Magic Balloon. You’ll need a balloon, small pop bottle, baking soda, vinegar and a funnel. 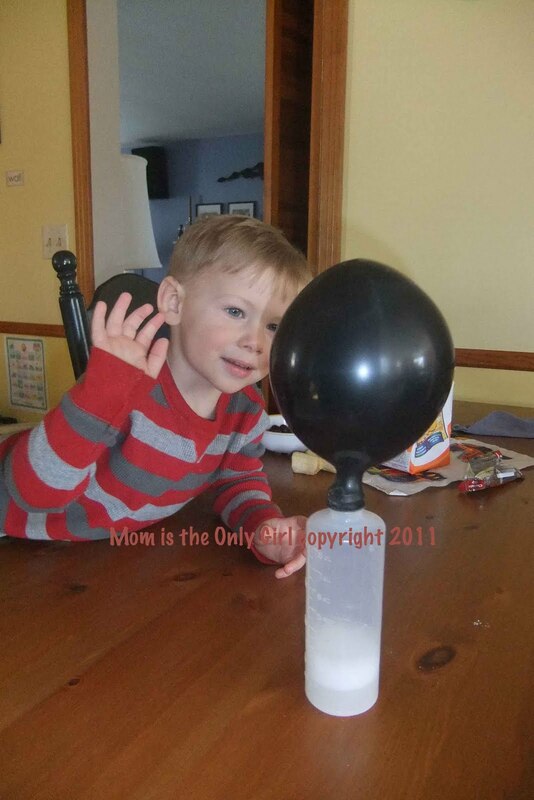 Use the funnel to put about 1 tablespoon of baking soda into the balloon. 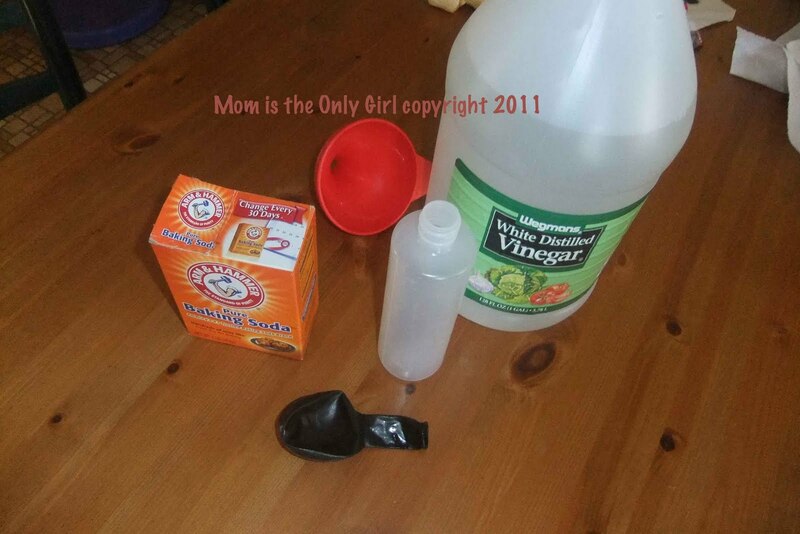 Use it again to put 1 to 2 inches of vinegar into the pop bottle. Secure the mouth of the balloon to the mouth of the pop bottle by making sure the baking soda is the the bottom of the balloon and then folding the balloon over so the baking soda doesn’t fall into the balloon. Work with only the mouth of the balloon. Yes, I know, this takes some coordination! Hold onto the balloon tightly while your child lifts the baking soda-filled part of the balloon, letting the baking soda fall into the vinegar. What happens? Gas is formed by mixing the baking soda (a base) with the vinegar (an acid) and the gas fills the balloon! Can you tell there are two underlying themes this week? 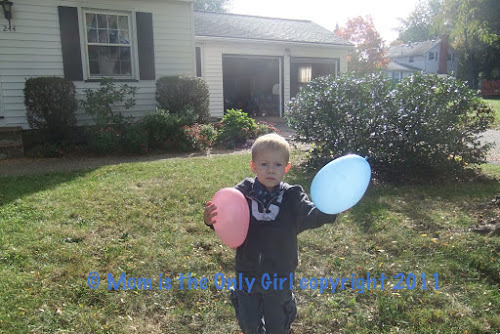 If you guessed ‘what we did this summer’ and ‘balloons’ then you are right! If you liked this experiment you may also like: Balloon Rocket! This was a good thing for us. The boys and I talked again about why rain is good for the ground, plants, animals and farmers (and have since talked about what happens when we get too much). All through the month of July while we watered the garden we talked about the plants drinking the water from the ground up and were careful to not water the leaves, but the roots to help the plants the most. This summer it’s been fun watching the garden grow with the boys. We’ve got lots of tomatoes and peppers growing! What have you been growing in your garden? Have you had a great harvest this season? While Cutie Pie and Sweet Pea at their breakfast this morning I drew a simple Christmas tree on their easel. I didn’t draw their attention to it. They go in spurts drawing or painting on their easel, so I wasn’t sure how long it would take them to notice, and Cutie Pie doesn’t seem to like to draw things on his own, rather color things in when he wants to. A little later in the morning I heard Cutie Pie very excitedly say, “Look Mommy, I’m drawing ornaments!” He had the green marker in his hand and was ‘drawing’ with a huge smile on his face! His ornaments looked more like scribbles, but they were ornaments to us! Today I’m participating in We Play at Childhood 101. Lately Cutie Pie and I have been having a hot cocoa date while Sweet Pea is napping. It’s our special time and fills a short time in the afternoons since Cutie Pie hasn’t been napping. We almost always play memory, or as he calls it the matching game. It’s the first real game he’s learning to play and he seems to be a pro at making up his own rules! The other day when we played he didn’t make a match, but tried to justify taking the cards by saying how they were alike! (Both animals were brown and had faces…) Then he tried to give me a match he made saying he would win if he had less cards. Then he kept turning card after card over to find the match because he was losing. I love our daily hot cocoa dates. They force me to slow down and really giggle with him, to see in his mind a little sneakiness forming and finding its way into the world in his little 3 yr old ways. They daily remind me how much I love him! I checked out this great book at the library the other day for the kiddos. It was actually one of those that I just pulled off the shelf and hoped would be age-appropriate for one of them, if not both. It’s called Shapes That Roll by Karen Nagel, illustrations by Steve Wilson. I must confess i t’s cover is what attracted me to it and why I brought it home. When I had gotten this book home and looked at it some more I kept thinking I had just seen something similar made with foam shapes and google eyes. I went searching again and found it on Little Page Turners. They made their monsters after reading Go Away Big Green Monster , which sounds like a great book, too! To make our “Shape Guys” as Sweet Pea calls them now when he sees them in the book, I gathered the supplies I thought the boys would have fun using: google eyes, pipe cleaners, foam paper, foam shapes, scissors and glue. 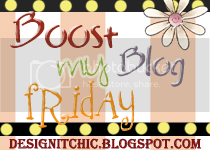 I’m also hopping along with this Friday blog hop! The other morning while I was doing the dishes I could hear the boys in the rumpus room playing. I wasn’t quite sure what they were doing, but they weren’t bickering so I let them play without checking on them. I thought that spelled trouble, but I was pleasantly surprised when I finished the dishes and joined them. Both boys were busy building with the cardboard bricks we have. Normally they are stacked in a corner between the hutch and the wall. They had quietly taken them down and were, at that moment, building bridges. For at least an hour longer they were playing with these, sometimes adding the wood blocks , Legos , or Duplos we have. They would each build their own bridge, then grab a car and drive it over the bridge and under it, repairing as needed or adjusting their design so bricks wouldn’t fall. Cutie Pie was talking all along with me, explaining what worked and what didn’t. I was very impressed and wondered what they would construct if they added shapes like triangles or had different things to build with like their Magneatos (which are currently out of play rotation)! I tried to make a mental note of things I noticed them talking about while they played. Cutie Pie talked about the patterns he was making, be it color, size or directional orientation of the bricks to one another. They both seemed to adjust the spacing between bricks in their bridge making process and they also both worked somewhat helping the other fix a problem. I love it when they play, but are really learning about science and math! Some days my kiddos surprise me with their ideas. We were playing the other day with our Fisher Price Little People animals and zoo mat, when Sweet Pea disappeared for a few minutes. 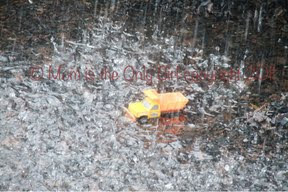 When he came back he was carrying the Fisher Price Little People Let’s Go to the Zoo book! He had read that book the night before and evidently remembered the animals in the book are the same ones we were playing with! We had never made that connection before. The next thing I knew Cutie Pie opened the book and started placing the animals on their corresponding pictures! I tried to take a picture of this, but it didn’t come out too well. Above is a pic of the sea lion sitting on the book just above the pic of the sea lion and the hippo just above the pic of the hippo. 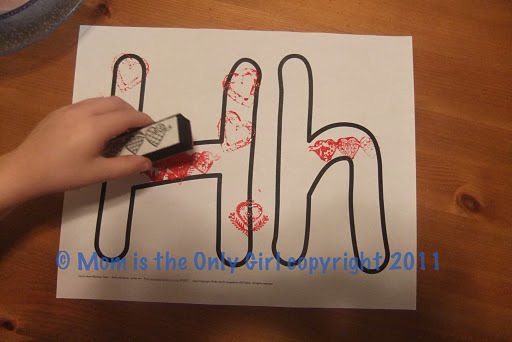 My kiddos have done this only one other time, but just that they thought of all of this on their own tickles my heart that they are learning some skills – one on one correspondence, sameness – I love it! 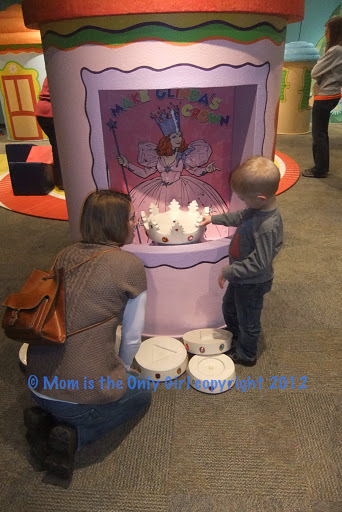 Visit We Play at Childhood 101 for more ways kiddos are playing! I’ve been getting some big questions lately from Cutie Pie. Most of them I have no idea how to answer. In a way these questions frustrate me, however, I try to learn from them at the same time. 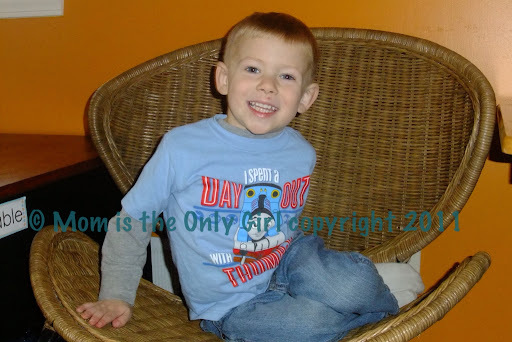 In general I know it would be easy to get Cutie Pie proficient at playing games on the computer, but I tend to lean more toward using the computer as a learning tool. When Cutie Pie asked about the earth we sat right down at the computer and looked up “Earth” and got some great results. We spent a lot of time at FlashEarth, where you can zoom in pretty close and peer at images photographed from space. Cutie Pie loved zooming in close to the different lakes, roads and even railroad tracks. I’m not sure I’ll always have an answer to Cutie Pie’s questions, but I’ll always try to find an answer with him! Cutie Pie hopped up on Hubby’s lap, wanted the guitar in front of him and the plectrum in his hand. Hubby is a music teacher, so he naturally loved that he wanted to play it ‘correctly’ rather than just standing in front of it and strumming it. Hubby asked if he wanted a lesson and Cutie Pie said yes. They sat there and had a mini lesson and Cutie Pie did great! He even sang a few songs for me while strumming along. Hubby talked about instruments with him and Cutie Pie said he wants to learn how to play the bass. Since Hubby is a music teacher he’s going to look in to borrowing a few small instruments and let him try them. Cutie Pie is so excited! I love playing with Wedgits and I’m loving that my kiddos are starting to pull them off the shelf on their own to play with them, too! At first Cutie Pie was building some simple things like a tower, which he called a Christmas tree, but then he started trying more complicated things. Once he started trying to build with more than just 2 shapes Sweet Pea wanted in on the action. At first he would just build to knock things down, but since then he’s gotten pretty creative, too! Wedgits are a really great toy! The kiddos are learning about nesting, stacking, designing, horizontal, vertical. They are using their imagination tangibly, but also abstractly and having lots of fun doing it! I’m loving it! Head on over to We Play at Childhood 101 for more ideas! On our way home from the store Cutie Pie all of a sudden started counting. One….two….three….four (long pause) five….six….I was trying to guess what he was counting. “Are you counting cars?” “Are you counting trees?” He loved this little guessing game, yet all the while was counting until he ran out of numbers he knows to count with. Finally Cutie Pie told me giggling his little giggle…”I’m counting houses!” The very impressive part of this is that on our drive from this store there are businesses scattered in amongst the houses and he only counted the houses! I love it when he takes it upon himself to do something like count and that he finds it fun! We’ve had colds here lately, so there have been several tissue boxes in the house. The other day I found a pile of tissues taken out of the box and the box in Cutie Pie’s hand. He was standing near the train table and asking me to make it into a tunnel. Cutie Pie is getting really good with scissors, but not with cardboard, so I agreed to help, but only if he told me just what to do. He told me just where he wanted his trains to go into the ‘tunnel’ and where he wanted them to come out. He also told me, with a little prodding, just what shape to make the holes for the tunnel. He watched me cut them on either end of the box to make sure I did it correctly. Evidently, according to Cutie Pie, the opening for the tissues was going to make it easier for Sweet Pea to use the tunnel. How thoughtful! I love helping the creations in his mind come to fruition! It’s even better when his ideas work the first time without modification! He thought the process through, explained it clearly, gave me direction to complete the project and enjoyed the result! 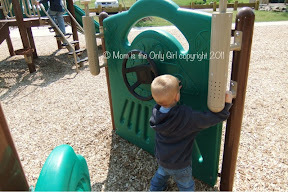 Check out We Play at Childhood 101 for more play ideas! Our local MOMs club meets once a month. This past Wednesday we met and the craft coordinator had the cutest little hats for the kiddos to make. She did a wonderful job of having all the supplies ready so all we had to do was glue here and staple there and we had Turkey Hats! What do you think – cute? I am not sure where she got the idea, but thought I’d pass it along to you since a quick search didn’t produce anything. If you find a link to better instructions please pass it along! All you need is construction paper, a paper bag (or paper long enough to wrap around the child’s head), google eyes, glue or stapler. 1. Make a 4 inch wide band of paper bag, long enough to wrap around the head with a little overlap. Fold in half to make a 2″ band. Wrap around child’s head to size, secure in place. This will be in the front of the hat. 2. Cut basic feather shapes out of construction paper. 3. Insert the squared off end into the fold, secure in place with glue or staples. 4. Make a circle from the paper bag. Decorate the turkey face as seen in the pic using whatever you’d like and secure the circle face onto the hat (to hide the staple). 5. Cut wings from construction paper and secure next to the face on the hat. Very simple, and a cute children’s project for Thanksgiving! In relation to the story of Jacob and Esau we also talked about how Jacob deceived his father. This was very pertinent to our lives as Cutie Pie has recently started to not tell the truth. 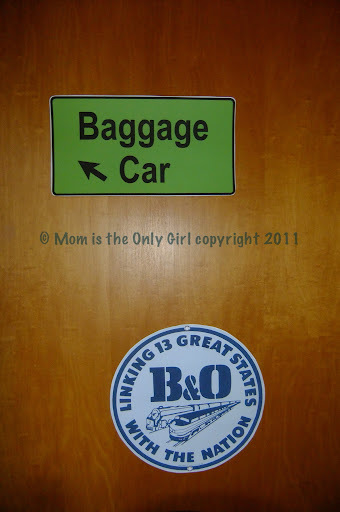 But, we also kept things on the lighter side and talked a lot about the letter D….due, drive, drop, doe…. Our week culminated on Friday when we made tambourines, which we played like drums. We filled them with goodies like Cheerios and peanuts and other things we could taste, smell, and feel the texture of after we decorated them (sight) and then we had a parade with our drums (sound). I was surprised at how much Sweet Pea loved this activity! Making the tambourine – Cutie Pie actually liked coloring! I have to give thanks to Hubbard’s Cupboard for the basic outline of this week…I am using this as a general basis for more focused learning for Cutie Pie a few days each week. In case you drive past our home and see the lights blinking, we aren’t trying to send morse code, it’s just Sweet Pea learning how to use the light-switches since he can finally reach them, sometimes by means of a chair which he has ever so carefully toddler-handled over to the switch to carry out this deep yearning desire to flick the lights. At one point tonight, while Cutie Pie was trying to play “night train” (yes, he absolutely loves Thomas the Tank Engine still and has to act out on a daily basis the songs he hears) Sweet Pea kept maneuvering a chair over to the light-switch to turn the light back on. I am pretty confident that he was only doing this simply because he could, but it was probably a plus that it annoyed his older brother. When Cutie Pie’s frustration was mounting to the point of interrupting the music lesson that Hubby was teaching in the other room, I quietly told him he used to do the same thing when he was Sweet Pea’s age. Amazingly, this explanation was enough to change Cutie Pie’s outlook on the situation and he, almost with abandoned glee, encouraged Sweet Pea to turn them off and on to his heart’s content! So although this is an incredibly irritating repetitive occurrence in our home right now, we know we’ve lived through it before without our eyes giving out on us, so we will endure, with the full realization that Sweet Pea definitely understands the words “ON” and “OFF”. 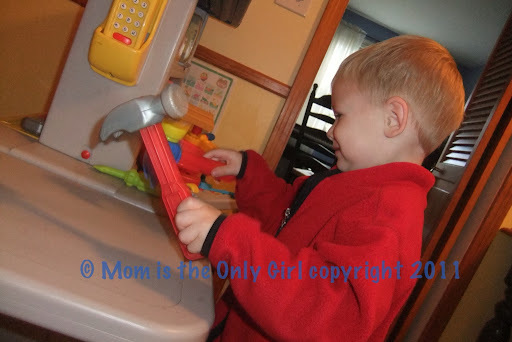 Check out We Play at Childhood 101 for other ways toddlers and their siblings are playing! 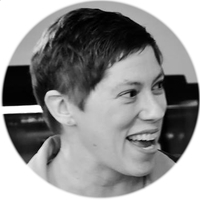 We live near Rochester, NY and often have opportunities to enjoy the Rochester Philharmonic Orchestra! I’ve blogged before about their Sunday kids’ performances. Recently we were able to see Green Eggs and Ham! Of course there are no photos allowed once the concert begins, but we snapped these of the kiddos before it started. Cutie Pie was very interested in all the instruments on the stage (we sat in the balcony so we could see all the instruments on stage.) Cutie Pie was just plain interested in everything going on ! The performance always includes a great selection of music, but also a singer or two and lots of audience interaction with the conductor. The RPO’s OrKidstra conductor is great at this! I always encourage parents to let their children listen to music, but anytime the kiddos can see an actual concert that is age-appropriate it’s even better! Most of the time orchestral concerts for the kids, like this one, have an instrument “petting” time before or after as well, which is an awesome time for the kids to actually touch and try the instruments they see on stage! What types of music experiences do you and your kiddos enjoy? Both boys now face front in their carseats! I think Cutie Pie was more excited for Sweet Pea to face front than Sweet Pea was to actually ride facing front for the first time. Since this first venture out, though, we’ve noticed Sweet Pea looks out his window much more often than when he faced backwards. He also tends to talk a whole lot more and interact with his brother more often, too, and in a positive way, not the “I want that toy” way. I just had to share. It seems like this day took a long time to get here!